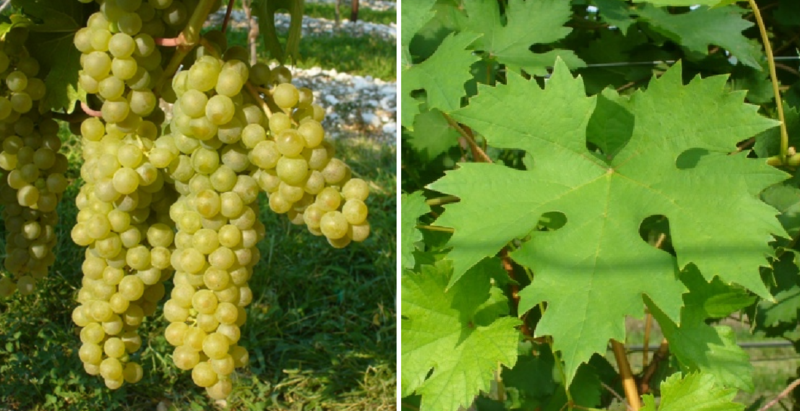 The white grape (also UD-34.113) is an interspecific new breed between Tocai (Friulano = Sauvignonasse x Kozma 20-3, Incidentally, the same parents are also the variety Fleurtai emerged. They are genes of Vitis amurensis. Vitis berlandieri. Vitis rupestris and Vitis vinifera contain. The intersection of hybrid took place in 2002 in Italy by the breeders Simone Diego Castellarin, Guido Cipriani and Gabriele Di Gaspero. The early ripening vine is resistant to frost to minus 24 ° Celsius as well as against wrong mildew and Verrieseln, In 2010, no inventory was reported (Statistics Kym Anderson ). This page was last modified at 16 August 2018 at 19:05.